As summer winds down we find ourselves aching for one last getaway before Fashion Week and holiday madness. Our list spans states we’ve never been to all the way to Morocco. One of the best parts of a vacation is the planning process and looking at all the different possibilites. 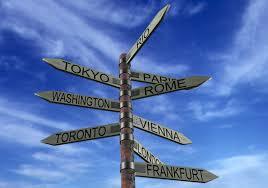 Pick a spot on the globe, get searching on Kayak or even Groupon Getaways for great ideas and start planning!